Now you don't have to queue up at embassies to apply for a visa. Do it online instead. The Visa Company is an online visa information and application service. It provides travellers with real-time information on specific visa requirements for all nationalities to all destinations. And for many destinations, it is even possible to obtain a visa using the website. In some cases though, the applicant still has to apply in person. The Visa Company website will inform holidaymakers as to what documentation is needed for a specific country, maximising the chances of a successful application. 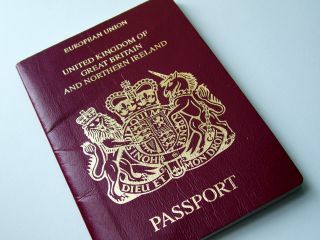 The initial visa information is free, but it costs £35 - plus any embassy fees - to use the service. The site is updated daily to feature the latest security alerts and requirements and tells users what documentation is mandatory for their application. These details, plus passports, will have to be sent off before the Visa Company can apply on a user's behalf. "The documents that the consumer will need to send off will depend on the requirements of the embassy, and what kind of visa is required," said a company representative. The company says it handles more than 6,000 visa applications a month for business travellers and now wants to appeal to consumers. The Visa Company's chief executive, Malcolm Bluemel, said: "Our vision is to make the visa application process as simple, straightforward and as cost-effective as possible for the consumer."